Just because both the words have boards in them, that doesn’t mean they have to contest within themselves to prove their dominance. Like any other sport, both the long boards and the penny boards have their own distinctive features, form, and functionality which are completely different from any other sport. Longboarding is an interesting sport which evolved from skateboards back in the 1970s. True to their name, they have a long base which is almost flat or cambered. This adjustment is made to hold the skater on the board without any instability. Also, the wheels of a longboard are soft when compared to penny boards. This softness allows the longboard to develop good friction with the road while traveling. 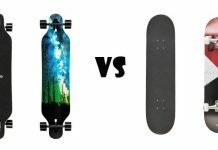 Penny boards are really small boards when compared with the longboards but the wheels of the penny boards are made up of thick plastic and the trucks are as usually made up of metal. As the name suggests longboards are made with the long wooden boards which are often made up of maple, sturdy oak or bamboo. Usage of bamboo boards is also prominent as they provide a cushion effect while they travel on the board. Maple and oak are common materials used for the construction of the longboards. If you ride fast on a longboard and hit on a wall, probably you will lose a chip of wood at the corner of the board. On the other hand, penny boards are made up of dense plastic material which is reinforced with the rough base in order to avoid stumbling and slipping. If you rid fast on a penny board and hit it somewhere you won’t lose anything from your board as they are made up of plastic. The real answer to the question regarding the length of the long boards and the penny boards can be easily defined by the name. The long boards are really long which possess enough space to keep the legs of the rider apart. But, the penny boards do not have that facility. The space between the legs should be adjusted to maintain stability and to move further. Even though, it is difficult to rid on the penny board at the beginning, after some days you can get to it without any trouble. As discussed earlier, the longboards are long enough and so they are not suitable for carrying long distances. When it comes to penny boards, they are not so long as a longboard and also they are made up of plastic which drastically reduces the weight of the penny board. Further, the penny board can be easily carried in your backpack without any difficulty or it can be just hung on your backpack. But, a longboard cannot be carried easily to anywhere of your interest. Suppose you have to move through a dense traffic, you can’t rely on the longboard due to heavy rush. But, if you possess a penny board, you can use it when you need it and when you don’t have space to move with your penny board you can simply lift the board in your hand and start walking. 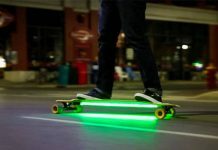 Apart from that, you can also use the penny boards to move inside your school or college campus. Longboards are available in various colors and patterns, but their basic shape cannot be altered. In case, if the length or its other pertaining features are altered the working of the board shall be different. But, the penny boards are available in various styles like classic colors, retro-prints, sweet fades etc. Also, they are manufactured in various colors and designs such that suit the school and college students. It is lucid that both the long boards and the penny boards are used for traveling distances. Of course, longboards are used for long distant travel, but penny boards are used for small distance travel within the limit of the city. The major difference between them is the availability of space between the two legs. 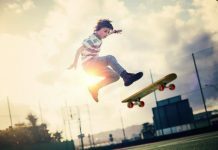 Recent evolutions in the penny boards have given rise to nickel boards which possess the optimistic features of both the long boards and the penny boards. Those nickel boards are eminent boards with less weight and high durability which also contains enough space in between the feet to travel long distances. Moreover, due to reduced weight, they are also portable. Since penny boards possess a vast number of optimistic features overcoming the performance of a longboard, I suggest you to pick a penny board which not only portable but also versatile.